For a more effective hair removal option, with less discomfort, visit us in Leicester. For the past 30 years, Lycon has been the leading Australian waxing brand with the best tried and tested product ingredients. Pre-waxing oil is applied creating a barrier between the skin and the wax. In this way, only the hair is pulled. Lycon wax shrink wraps itself around the hair as it dries, not breaking the hair and therefore enabling hair removal from the root. Lycon wax is easy to use. Its strength and smoothness allows easy manipulation after applying, causing minimum discomfort wherever it is applied. ‘So Yummy Chocolate and Hazelnut’ – smells and looks like chocolate. This wax applies beautifully onto the skin and is very efficient for removing hair as short as 1mm. The iron oxide gives the wax a creamy chocolate colour and makes it very gentle to use. Great for Brazilian and all over the body waxing. ‘Lycon Rosette Wax’ – coloured pink with chamomile and rose. This is a super-efficient wax that works as good as it looks. Containing titanium dioxide, which creates a soft and supple creamy texture, you will experience comfortable and soothing hair removal. Perfect for Brazilian and facial waxing. ‘Blushing Secret Apricot Wax’ – Lycon’s original and legendary hot wax formula will leave the skin conditioned with apricot oil. Prices range from £45 for a Brazilian to £50 for a Hollywood. Ingrown-X-it’ – Lycon’s latest product to help clear, soothe and minimise nasty ingrown hairs, blemishes and shaving rash experienced after any hair removal. A breakthrough formula with AHA’s salicylic and lactic acids exfoliate, decongest and help to minimize the appearance and discomfort of ingrown hairs, while arnica and allantoin moisturise and soothe unsightly red spots. Great to use straight after waxing and at home in between hair removal treatments. ‘Anti Bump Foaming Gel’ – with lemon tea tree, arnica and calendula. ‘Anti Bump Foaming Gel’ is highly effective in minimising the appearance of ingrown hairs, blemishes and congested pores, leaving skin clean, soft, smooth and moisturised. It can be used daily as a body wash. Great if used before applying ‘Ingrown-X-it’ solution. Hot wax is spread thickly onto the skin and allowed to dry slightly before it is gently peeled away. This method is far less painful than most and pulls hair directly from the root. Benefits include fewer ingrown hairs, less breakage and therefore longer re-growth periods. This wax also promotes skin hydration and is highly recommended for sensitive areas. Strip wax is recommended for thicker, less sensitive skin, e.g. legs, arms, back, chest and shoulders. A thin layer of wax is applied to the skin and is then removed using a paper strip. Be Exquisite offers organic and house strip wax. Why is Lycon hot waxing recognised as a less painful experience? When hot wax is used on sensitive areas, an essential oil is first applied to the skin, which acts as a barrier between the wax and the skin. The wax is therefore able to shrink wrap around the hair and will not stick to the skin – less tugging results in less pain. 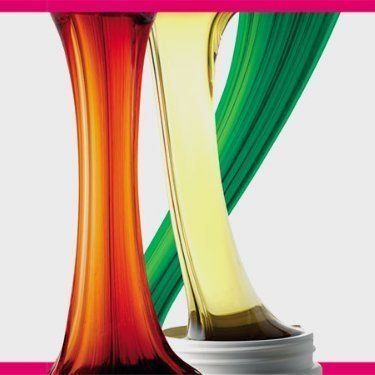 Lycon hot wax can be used on hair as short as 1mm. The strip wax can remove hair as short as 2mm. Everyone has a different growth cycle, however areas that have been shaved one week earlier can generally be waxed. For larger areas of the body, e.g. arms, legs, it is preferable to leave three weeks before waxing. Longer hair growth will be trimmed in the salon before waxing. Which bikini waxes are offered? ‘Basic bikini’ is where the hair is removed from the top and sides of bikini area. ‘G-string’ is the same as ‘basic bikini’, however the top can be taken slightly higher with some hair removal underneath, following the line of the g-string. ‘Brazilian’ removes all of the hair from underneath and leaves only a strip, thumb print or small triangle of hair in front (hair is also removed from the buttocks). I’m pregnant and want a bikini wax. What do you recommend? Waxing during pregnancy is very popular, especially now that our wax treatments are less painful. All parts of the body will be waxed comfortably and safely. The Brazilian or Hollywood wax is very popular one week before delivery. Everyone has a different pain threshold and so each experience is different. However, with regular waxing, most people find it becomes easier as the hairs become thinner, slighter and sparser after a few treatments. At Be Exquisite, care is taken to ensure your waxing experience is as pain free as possible. If you have a particularly low pain threshold, then a couple of over-the-counter painkillers taken half an hour before the treatment tend to reduce any pain. You may notice a small amount of re-growth after a week or so. It can take up to 4 treatments for your hair to get on a growth cycle that gives the best results. To maintain your smooth appearance, regular waxing every 4 weeks is recommended. A towel is provided to cover parts of the intimate area while waxing. The treatment does involve you holding the skin in various places to help minimise discomfort, however you will be professionally directed on which areas. Do not apply deodorants, body sprays, powders, lotions or other products to the area, other than those recommended by your therapist, for 24 hours. Please note: some slight soreness, small bumps and redness are common and perfectly normal temporary reactions, particularly if this is your first wax. These symptoms should subside over a 24-48 hour period. If you experience persistent redness or irritation, or if you have any questions, please do not hesitate to contact the salon.